"Mediterranean diet in a pill"
If you were to ever visit Sicily and travel to one of its remote villages high in the Sicani mountains, you might be struck by how many robustly healthy, very old people you see. That's because people who live here are much more likely to live past the age of 100. In fact, a recent study by researchers at the University of Palermo shows these mountain villagers are 4.32 times more likely to live to 100 than in the rest of Italy. And the number of male centenarians here is 11.5 times the national average! 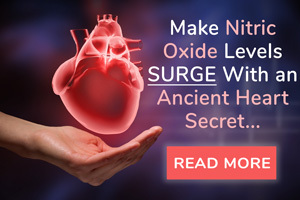 They don't have ANY of the typical heart risks you might expect. When these robust centenarians underwent blood tests, their cholesterol and triglyceride levels were in the healthy range. In fact, their numbers looked like those of someone in their thirties, not their 100's! 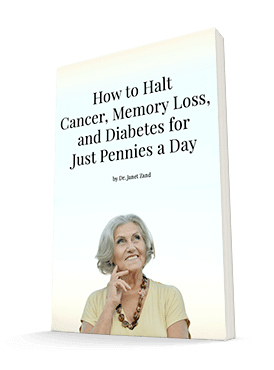 My name is Dr. Janet Zand and I've practiced natural medicine for more than 25 years. As you've probably guessed, much of these mountain villagers' surprisingly good health and longevity have been attributed to their Mediterranean diets. In fact, you see it all over Italy, Greece, and other Mediterranean countries. 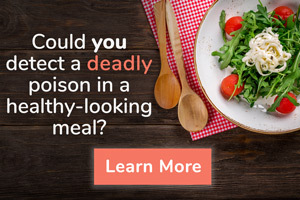 Study after study going back to the 1950s shows eating this type of diet can keep your heart healthy… promote normal cholesterol, blood pressure, and blood sugar levels…and even add years to your life! What is it about the Mediterranean diet that makes it so heart-healthy? Researchers believe it's the high amounts of vegetables that are consumed. Not just any vegetable, but those that are rich in phytochemicals. As you may know, phytochemicals are natural plant compounds that often provide dramatic health benefits. So it's probably no surprise that certain foods in the Mediterranean diet contain compounds shown to control cholesterol and promote heart health. The Sicilian staple that's actually a cholesterol-busting "superfood"
Scientists have discovered a little-known plant compound found in a popular vegetable in Italy. This vegetable is a staple in many Sicilians' diets. They eat it steamed, broiled, sautéed, and even fried to a crisp! This popular vegetable may be a big part of the reason why so many Sicilian centenarians enjoy optimal cholesterol levels. In fact, research shows this "superfood" can have a dramatic effect in bringing down "bad" LDL cholesterol and raising "good" HDL. What is this cholesterol-busting superfood? It's artichokes. Artichokes contain a powerful plant compound called cynarin. Cynarin has the unique ability to boost your body's production of bile. 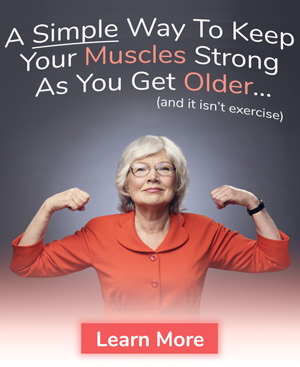 This is important since your liver produces less bile as you age…making it less efficient at breaking down and removing fats like cholesterol. By increasing your body's production of bile, cynarin helps your liver break down and eliminate fats more easily, just like in your younger days. "Bad" cholesterol drops 22.9% in 6 weeks… with NO diet changes required! Take a look at this controlled study on 143 people with high cholesterol.1 Researchers gave half of the participants artichoke leaf extract—a rich source of cynarin—to take each day. They gave the other half a placebo. They then told the participants to keep eating the way they always had, with no diet or lifestyle changes whatsoever. The researchers measured everyone's cholesterol levels at the beginning of the study and again after 6 weeks. At the end of 6 weeks, the researchers were astounded by the difference between the people taking the artichoke extract and those taking the placebo. They found the people who took artichoke leaf extract for 6 weeks reduced their LDL cholesterol by an impressive 22.9% on average! This means if right now your LDL cholesterol is 190, you could drop it to 146…without giving up your favorite foods. And that's in just 6 weeks! But artichoke leaf extract does something else that's good for your heart. It raises your HDL "good" cholesterol. Most other therapies can't do this. In a recent study of 92 overweight people with cholesterol concerns, researchers found those taking artichoke leaf extract raised their HDL cholesterol by 10%.2 And that was in just 8 weeks! If you're looking to get your cholesterol levels into the healthy zone, I recommend you take artichoke leaf extract. The problem is, you can't always find it in a high-quality form that contains the most active components. That's why I decided to include this powerful extract—along with two other heart-healthy, well-researched nutrients—in a new breakthrough solution. This new "Mediterranean diet-in-a-pill" is 100% natural. 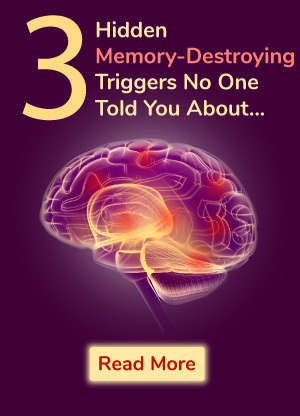 It's based on the latest clinical research that's been published in prestigious scientific journals. It's called Mediterranean Cholesterol Formula and it includes a potent, high-quality extract of artichoke leaf. 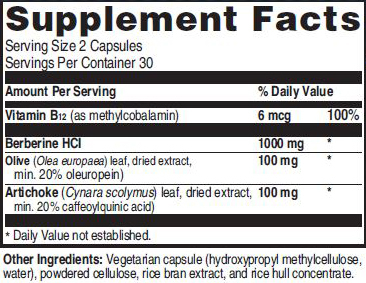 This extract is standardized to contain 20% caffeoylquinic acids, which include cynarin and other plant compounds. That's significantly more than the 5-6% you'll find in other brands. 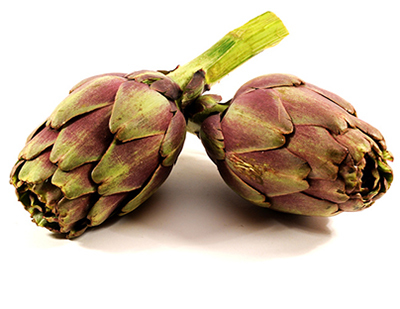 So it gives you a simple, fast-acting way to enjoy all the heart-healthy benefits of an artichoke-rich diet! Mediterranean Cholesterol Formula also gives you an extract from another popular Mediterranean "superfood" found to support healthy blood pressure levels. 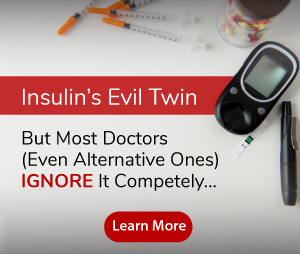 Plus it includes a new blood sugar breakthrough that's been widely used for centuries in Chinese medicine. For thousands of years, the olive tree has been considered sacred by the people of the Mediterranean. The ancient Greeks believed this tree was a gift from the goddess Athena. They used it as an offering to the Gods. They even hung olive branches above their doorways to ward off evil spirits. As it turns out, the olive tree isn't just sacred. We now know a powerful extract from the leaves that grow on olive trees can work wonders for your blood pressure and heart health! The reason oleuropein is such a powerful remedy for blood pressure control is because it promotes healthy, flexible arteries. It does so by helping the inner lining of the arteries—called endothelium—to function properly. When the endothelium functions properly, your arteries allow blood to flow through your arteries smoothly and easily, easing blood pressure. You can get oleuropein from olive oil. But you don't want to start pouring large amounts of olive oil on everything you eat. And you can't always be sure what you're getting when you buy bottled olive oil, either. Due to olive oil's growing popularity, inconsistent quality, mislabeling, and outright fraud have become much more common. And the amount of oleuropein varies greatly from olive oil to olive oil. So you could start using more olive oil and still not get anywhere near the blood pressure-supporting benefits seen in studies. That's why I made sure I included a high-quality extract of olive leaf in Mediterranean Cholesterol Formula. You get a generous amount that's been standardized to contain 20% polyphenols, the highest available. Some inferior olive leaf extracts contain as little as 6%! Double-digit reductions in systolic blood pressure in just 8 weeks! One Swiss study on 162 people found olive leaf extract worked as well or better than a popular therapy for controlling blood pressure.3 The researchers found those people taking olive leaf extract knocked an average of 11½ points off their systolic blood pressure (the "top" number) in just 8 weeks. That's pretty incredible! Another study on twins found similar results.4 Researchers had half of the twins take olive leaf extract each morning while their twin siblings took a placebo. After 8 weeks, they found the twins taking olive leaf cut their systolic blood pressure by an average of 11 points! Here's more good news. The olive leaf extract you get in Mediterranean Cholesterol Formula doesn't just promote healthy blood pressure levels. A recent study on overweight men found the polyphenols in olive leaf extract significantly improved insulin sensitivity.5 Those men who took the olive leaf extract for 12 weeks showed a 15% improvement compared to those taking the placebo! They also enjoyed a 28% improvement in how the cells in their pancreas stored and released insulin. This improvement can help control your appetite and make a big difference in your blood sugar levels in just weeks! I think you can see why I recommend olive leaf extract for anyone who's concerned about blood pressure or metabolic syndrome. Now I want to tell you about one more heart-healthy breakthrough you get in Mediterranean Cholesterol Formula. Thousands of years ago, a potent compound found in the bark of certain plants became widely used in Chinese medicine. This compound became prized for its ability to fend off bacteria, viruses, parasites, and other unwanted invaders. The researchers discovered this potent plant compound did more than stop diarrhea. They found it also dramatically lowered blood sugar levels in the study participants with blood sugar concerns. What is this plant compound? It's called berberine. Berberine is a powerful phytochemical. It's found in a handful of plants, including Goldenseal, Barberry, Coptis, and Phellodendron. As soon as this accidental discovery was made, researchers began studying berberine for its ability to control blood sugar. They found berberine doesn't just help normalize blood sugar. It can also bring your cholesterol and triglycerides down to healthy levels, too. Blood sugar drops 25.8% and triglycerides plummet 35.9% in just 3 months! In this double-blind, placebo-controlled study, half of the people took 500 milligrams of berberine twice a day for three months. The other half took placebo pills twice daily. Before they got started, everyone had their blood sugar, cholesterol, and triglyceride levels measured. Three months later, the people who took the placebo showed barely any change in their blood sugar levels. But those who took the berberine showed dramatically different results. Their fasting blood sugar had dropped by 20% on average! After their fasting blood sugar levels were measured, all of the people consumed a glucose drink. Two hours later, they had their blood sugar levels measured again to assess their glucose tolerance. The people who had taken the placebo pills for three months showed little or no change in their "post-load" glucose levels. But those who had taken berberine saw their levels drop by 25.8% on average. That's a significant reduction after just 3 months! But these weren't the only improvements seen in the people who took berberine. Their LDL "bad" cholesterol dropped by 21% on average, total cholesterol decreased by 18%, and triglycerides plummeted by a whopping 35.9%. I've never seen one nutrient able to do all this! This particular study wasn't a fluke. A recent review of 27 controlled clinical trials involving 2,569 people resulted in similar findings.7 This in-depth review confirmed that berberine is able to dramatically lower blood sugar, cholesterol, and triglyceride levels over a three-month period. The review also reported that berberine appears to work as well or better than conventional therapies when it came to supporting healthy blood sugar, LDL "bad" cholesterol, and total cholesterol. Not bad for an accidental discovery! One convenient formula gets your numbers where you want them—fast! Mediterranean Cholesterol Formula gives you a same daily amount of berberine used in the studies I just shared with you. That's right—the same amount shown to produce dramatic results! Other Ingredients: Vegetarian capsule (vegetable cellulose, water), powdered cellulose, rice bran extract, and rice hull concentrate. When you combine berberine with the artichoke leaf and olive leaf extracts you get in this formula, you're giving your body incredible, all-around support. Many people see a significant difference in their cholesterol, blood pressure, blood sugar, and triglyceride levels in as little as 6 weeks! This all-natural formula lets you get your numbers where you want them in a way that's good for your body. 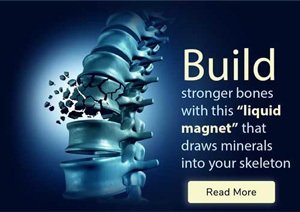 It gives you safe, powerful plant compounds proven to work in dozens of clinical studies. I want to improve my heart health with Mediterranean Cholesterol Formula today! You can get started on Mediterranean Cholesterol Formula today for just $39.95 a bottle. That comes out to just $1.33 a day to take control of your cholesterol, blood pressure, blood sugar, and triglycerides naturally…less than a cup of coffee! As you can see, this is a great value. But when you order multiple bottles at a time it saves us money, and we're able to pass the savings on to you. That's why you'll save $12.00 and pay just $35.95 a bottle when you order a 3-month supply of Mediterranean Cholesterol Formula. There's no risk in ordering Mediterranean Cholesterol Formula, since you can put this formula to the test. If for any reason you're not 100% satisfied, you can return the empty bottles within 90 days of your purchase for a full refund of every penny you paid - including shipping and handling. No hassles. No questions asked. You only pay return shipping. 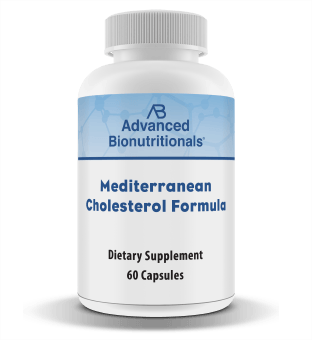 I hope you'll take advantage of these special introductory savings and give Mediterranean Cholesterol Formula a chance to get your numbers where you want them. I don't think there's a simpler or more effective way to take control of your cholesterol, blood pressure, blood sugar, and triglycerides naturally. This new formula works better and more gently than many other natural solutions. 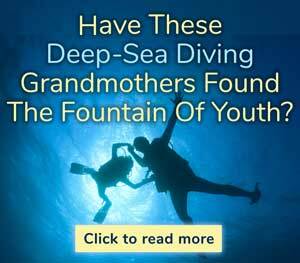 It gives you two of the most powerful plant compounds found in the Mediterranean diet. And it combines them with a potent compound used in Chinese medicine that's amazing scientists around the world. You won't find this kind of heart-healthy "Mediterranean diet in pill" anywhere else! So please act now to get started. Follow this link or call toll-free 1-800-791-3395 right away.